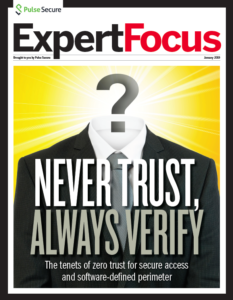 Can you rely on your data center access security? Educational organizations are a top target for cyberattacks. It is the third most common area of focus for hackers and cybercriminals, behind financial and health care institutions. EDUCAUSE named information security as the top IT issue of the year for the fourth year in a row for schools. The problem is getting worse. The number of lost, stolen or compromised student data records went up 164% in the first six months of 2017 compared to the last half of 2016, Campus Technology reports. Schools struggle with meeting Family Educational Rights and Privacy Act (FERPA) by keeping all endpoints up-to-date with host-checker. Education institutions have offered attackers little resistance to identity and financial theft. At the same time, organizations are embracing new digital learning initiatives, including personalized learning, learning management systems, virtual classrooms, mobile learning, augmented/virtual reality, further use of cloud resources and have to cater to students who are always on the leading edge of new—and often non-secure—computer resources. 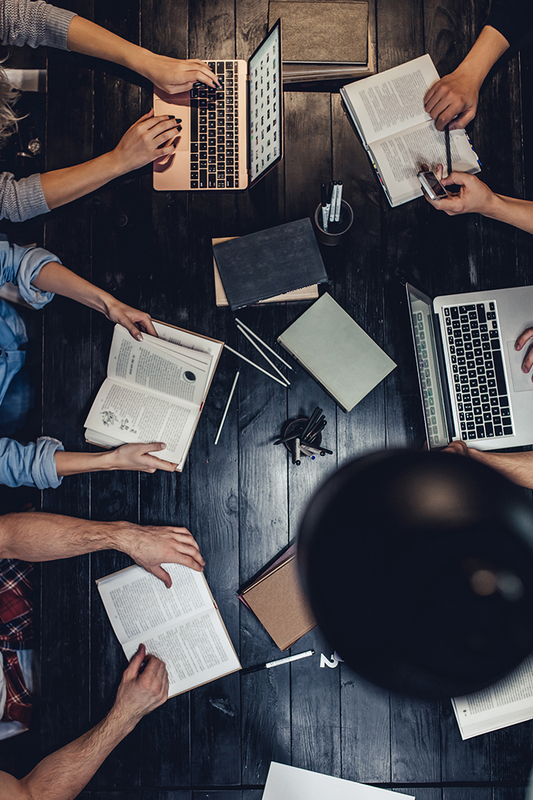 Educational organizations need to offer broad access, accommodate an ever-widening variety of devices and deal with numerous networks, highly distributed computing environments, new apps and various cloud-based assets. 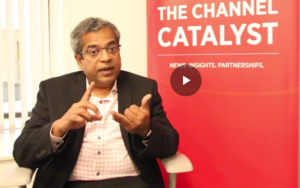 Key to such diverse challenges is the ability to have secure access with consistent and appropriate security policies across all users, devices, applications, networks and locations. Pulse Secure provides a comprehensive way for schools and educational organizations to secure their environments while accommodating constantly changing dynamics as well as pursuing new digital learning initiatives. Our security framework controls access to the central office network, individual schools and on-prem or cloud-data centers based on based on user, role, device, location, time, network and application, as well as endpoint security state. 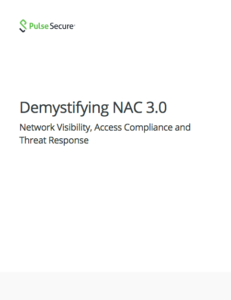 It extends limited internal visibility to full visibility across all users, locations, networks and devices and enables consistent security policies across constantly evolving infrastructure while eliminating blind spots and weak links in the potential attack surface. Educational organizations can use Pulse Profiler to automatically detect and continuously profile managed and agentless devices on various networks and resources. With a single view of all devices connecting to all environments, the security administrator can monitor devices for profile changes, track device inventory for asset management and gather connectivity information for troubleshooting. 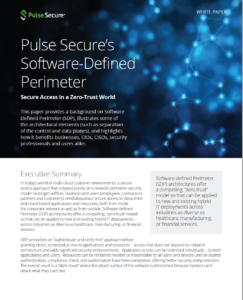 Pulse Profiler provided visibility, with threat reduction by Pulse Policy Secure, ensures that companies are fully protected from malware attacks and detected threats are rapidly isolated and mitigated. Educational organizations can implement a policy-driven “comply-to-connect” strategy that controls access to resources and services, based on device type and health, domain, locations, resources, users and groups. 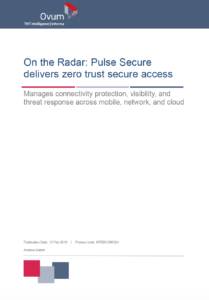 Pulse Policy Secure NAC strengthens network security posture with capabilities that include endpoint vulnerability assessments, device posture checks and alert integration with next generation firewalls for speedy mitigation. Employees and students can use the Pulse Client to securely access necessary resources remotely via the Pulse Connect Secure VPN, or locally via the school’s WiFi network. Pulse Policy Secure authenticates employees and students locally based on their role and desired resource, automatically provisioning firewalls without manual intervention to provide remote access and immediately access proper resources. 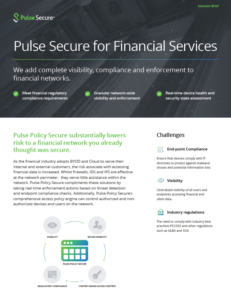 Pulse Profiler gives teams full visibility of their financial services environments by automatically discovering and classifying managed and unmanaged devices on the networks. It ensures the highest possible security posture by continuously re-evaluating device profiles, based on DHCP and other fingerprinting methods, to detect and report device profile changes such as MAC address modification. Pulse Policy Secure protects networks and locations from cyber intrusion. This powerful, context-aware policy engine applies granular policies to control access based on user, role, device, location, time, network and application. This comprehensive solution also enables guest access for partners, endpoint on-boarding and customer-facing applications, including compromised device segregation. Pulse Connect Secure provides fast, secure VPN access to the company resources enabling faster response to customer and business issues and needs. 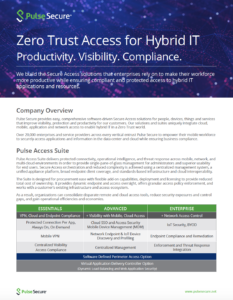 Connect Secure works seamlessly with Pulse Policy Secure, leveraging the same user client, centralized management console and policy framework. Pulse Client gives technicians easy, secure access to networks and resources to speed problem resolution. The Pulse Client provides users with a single, intuitive way to securely connect remotely via VPN or locally via WiFi. Hidden to the user are a number of features that make access frictionless, such as the dynamic provisioning of remote users sessions to branch or headquarters firewalls via IF-MAPS to eliminate additional login prompts. Focus on the real life benefits the user gains by applying our solutions to solve these industry-specific issues.